General structure meeting & request for senior members of staff to attend – Simon Ware (RPO) has fed back on this. Organogram provided 20.07.16 with a general over view of the roles and responsibilities for the Neighbourhood staff. Operative using stairwells as toilet facilities – This has been raised with Nick Walker and Jim Patterson who have advised contractors have been told this is unacceptable. Any specific new incidents can be reported to Martin Waller to investigate. “Although the communal doors were in place in the summer of 2015, our Alliance contractor Lakehouse have not yet finished off the work, this is not just about the doors at Corbiere and Granville Courts but the entire program, we brought in a clerk of the works Tony Cooper who issued a snagging list earlier this year. Lakehouse wrote to me last week to say there staff would be out looking at this on Monday the 5th of September to check the work was finished, subject to their indication that the block are ready for handover Tony will hand over the blocks (if he feels they are finished), we will invite Terry Reynold’s when we get to that stage. Lighting – Major changes in how lighting repairs are ordered and managed. A formal update will be given at the next central panel meeting and the panel attendees will cascade this information to the TRA members. Specific issues to be referred to Martin. Laurence confirmed during telephone conversation on the 6 September that this information has already been provided by Shushana. Lift issues – Martin Waller will be exploring the possibility of using a special type of finish which basically splashes back urine. The specific lift highlighted is washed seven days a week, twice each day Monday to Friday. We use Hard and Fast also a pine disinfectant. The issue is not with the chemicals we use the problem is in the lift pit, Jim Yeend, Estate Environment team, has raised this with the lift team with the view to having the pit cleaned and disinfected. We have raised the question of CCTV for the lift however have been advised that unless this is identified as a ‘hot spot’ it is unlikely that we will follow this course of action. All incidents must be reported in order to build a picture for this to be considered. 7 September 2016- lift investigation ongoing. Estate Officer would need to have details of all the other actions that have been taken into account to locate the alleged perpetrator, door knocking, block letters, several residents making complaints, etc. Once these attempts have been exhausted then Hackney ASB can be approached with a Business Case to install CCTV in the lift. However Housing Management must be able to demonstrate that ALL actions have been exhausted first. Stephen Restall (Electrical Lift Contracts Manager) has advised the contractor to replace both the floor and sub-floors (Lift number 5346) and for quotes to be sent to him for approval. Lancresse court lift– A new drive was installed into lift 5225. Lift fully operational. This was confirmed at the meeting. Block Drainage – A whole estate letter is not deemed appropriate. Martin Waller has identified three blocks (Rozel, St Brelades & St Martins) and these will be targeted as this is where there is a particular issue. An emergency job has been raised for an operative to attend in the next 48hrs. Regarding recycling oil: Martin has emailed the recycling team if it is possible to have cooking oil recycling collection points on the Estate, similar to those found at the community waste sites. Update will be provided before the next meeting. Block letter was delivered by Martin W on 25 July regarding block issues which included disposal of oil down residents sinks. Please note that following this meeting it has been found that this was investigated as a result of a Member’s enquiry from Councillor Peters on the residents behalf in Mach 2016 (a copy of the response was sent to the Chaor and Secretary of the TRA at that time and will be supplied again at our meeting on 19 July). 1. Cleaning- This question is about cleaning schedules and ad-hoc cleaning for the external shared areas around the blocks, the stairwells and the lifts. Could we know: A .What are the cleaning schedules for the estate? B. How do we report fouling? C. How will these reports be acted on i.e. expect as a response time/SLA? D. When do the bins get cleaned? Mick Smith advised that cleaning schedules will be placed onto all the estates notice boards. To report Fouling Please call the Estate Environment Estate Cleaning Services on 0207 249 3345 (emergency out of hours: 0208 356 2300) and Martin Waller if you would like to report this to MW to investigate. On 20 July 2016 Laurence had mentioned during our meeting that Granville did not have a schedule in the notice board. This had been reported to Mick Smith who confirmed that the cleaning schedule was placed into the notice boards on the 8 August. 2. Fouling on the estate (shared areas and lifts). A. What is being done to mitigate this? We are dealing with individual cases that Martin W (Estate Officer) is aware of and will remind the residents of terms and conditions of their tenancy. Estate Officer to investigate and exhaust every avenue – i.e. warning letter to all residents of what actions could be taken if the perp is identified. The nature of the issue to be raised with Martin and will be dealt with in the most appropriate way. 3. Repairs and External Decorations – This question is about the state of repair of the fixture and fittings around the estate: A. How is the damage discovered and recorded? Is there something the council does on a regular basis? B. Could we have the details and the frequency of any inspections? C. Is there a list of reported issues? Can we see the list and what has been addressed on the list? D. Is there a process for tenants/leases to report? What is that process and when can we expect resolution/SLA? In the main repairs of this nature are reported (via the repair call center) by residents who live on the estate as they see them when they occur and by the estate cleaning operatives who are on the estate daily. In addition, damage and repairs are picked up whilst the Estate Inspector carries out an estate inspection. During the Estate Inspection each and every block and communal space is inspected. Frequency of inspections by the Estate Inspector are monthly and whilst there is not a fixed date for an EI the Estate Inspector can confirm that De Beauvoir is a week 1 estate. Any issues they identify are cross checked with the repairs system to avoid duplication and if necessary a repair request will be raised (i.e. where no job exists already). There is no comprehensive list of all the repairs against any one estate as the reports come in via a variety of sources and are recorded in several ways on our current IT system – if the system is changed in the future this is something that will be looked at for rectification. We are however trying to access a top level report in order to print off and provide the TRA. Any specific issues would need to be raised with Martin. SLA for individual jobs would depend on the type and urgency of the repair (details can be found on the LBH web site as to what is an emergency, urgent and normal job for example). 4. Signage – This question is about signage around the estate. The estate is difficult for people to navigate if they are coming to visit and the signage doesn’t help in an obvious fashion. We were told that when Hackney homes went back to the council that this would be addressed. A. Could you tell us what you are planning to do, and when? B. What is the process for engaging in the process? c. Could we have an input in the plans with a view to influencing? I have been advised by the Asset Management team that we don’t have a clear indication as to when the work on the signage project will be finished and there are already some interesting ideas being thrown around based on ‘way finding’. Hackney Housing are part of the project that is looking to not only improve signage across the estate, but also create signage that is sensitive to the estate concerned is clear and avoids the use of excessive signage that is both ugly, unenforceable and can present an unfriendly feel on our estates. The project will include what is called “legislative” signage. These are signs like no smoking, fire exit, danger electricity etc. we see all the time as well as informal signage such as floor numbers and wayfinding for users. At the moment we are working as part of a working party with some designers who have come up with some preliminary suggestions as to how signage could look, and once we have some suggestions we think are fit we will, of course, be sharing that with residents for comments. It is intended the works to improve signage will be undertaken as part of the estate communal decoration program over the coming years, however if you need some signage now, please consider temporary signs where it is urgently needed. The Asset Management team have been made aware that the De Beauvoir TRA are interested in being part of this process. 5. Cyclical painting program details: A. Could you provide details of this program? B. When was the last time it was carried out for each of the blocks? Could we have the date referenced to the block please C. If the program has not been met, could you provide the reasons why and what you are going to do to address this. 6. Door entry systems not working for Corbin House and Granville. A repair request was raised for Corbiere House – 01518231 – 11/07/2016.Granville Court – 01518240 – 11/07/201. 8. Degeneration of Service – Unable to comment re this at this time – to be discussed further after clarification. The ‘Save Haggerston Pool’ campaign has called a public meeting and invited Council representatives to outline the “expressions of interest” which they have received from potential bidders for a 250 year lease of the Grade II Listed building. The meeting is on Thursday 8th October at 7pm in the VLC Centre, Whiston Road E2 8BN, next door to Haggerston Baths. The proposals received will be on display to view from 6pm. You can read the Save Haggerston Pool campaign’s website here. The meeting will be chaired by the Campaign and is the first opportunity for the public to question and debate the future of the Baths, with Hackney’s Assistant Director of Property Services and its Cabinet Member for Health and Community Services, since the Council announced its intention to invite offers for Haggerston Baths last June. 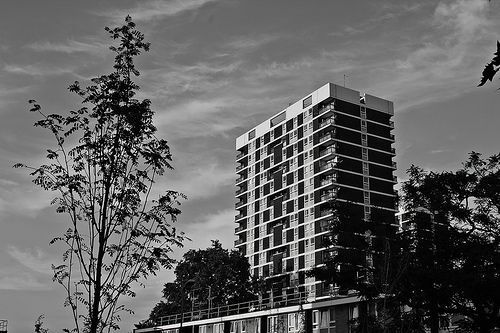 The evenings might be drawing in, but there’s no shortage of activity in De Beauvoir. A walkabout around the estate took place in July, to consider possible works for the EIB and 184 budgets. (For more information on these, click here.) Watch this space for more information about agreed works for the coming year, and get in touch if you’d like to be involved in future decision-making. There are a large number of events going on in the coming months, from the opportunity to meet the local policing team on 30 September, to a Macmillan Tea Party on 11 October. Click here to go to the events page to find out more. The next TRA meeting is on 12 October at 7.30pm in the Rose Lipman: all welcome! And in case you missed it, there’s an amazing video of our estate from the skies, available on youtube. Enjoy! 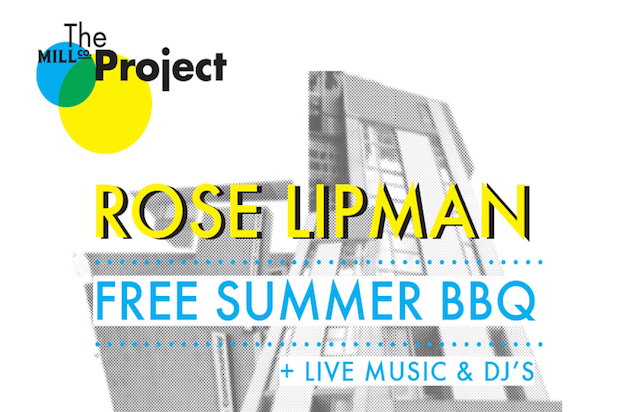 Join us at the Rose Lipman Building for our annual free summer BBQ. 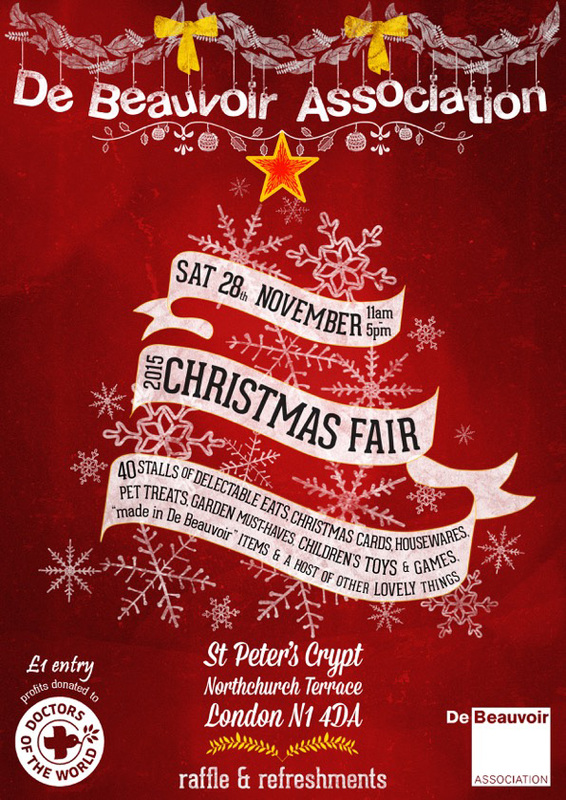 Live music from the Five 0 band, DJ’s and loads of free food & drink. Open to all, bring your friends! Stay up to date with events on the estate in the Rose Lipman building, and elsewhere in the area, by keeping an eye on our Events pages. Did you know that the Rose Lipman currently hosts regular film screenings, as well as talks, workshops, discussion groups, and more? And if you know of any local events that you’d like to see publicised here, do get in touch! A distraction burglary occurred in the Lockner Estate on Thursday at around 12.30 pm. A male suspect claiming to be a plumber pursuaded an elderly resident to allow him into their house to repair a leak. Once inside it is believed the suspect squirted water on the kitchen floor before pretending to work on the sink. He then stated he needed to leave speak to the neighbours before stealing property on the way out. Please ensure that you not allow individuals purporting to be tradesmen, gas, council or waterboard officials into your property without seeing proper identification and making checks with the relevant company, particularly if you are not expecting a visit. There were also thefts of mobile phones in the Downham Road area by people on scooters at the weekend. Please take care when using your phone in the street.